I am fortunate to have wild blackberries growing in the backyard. 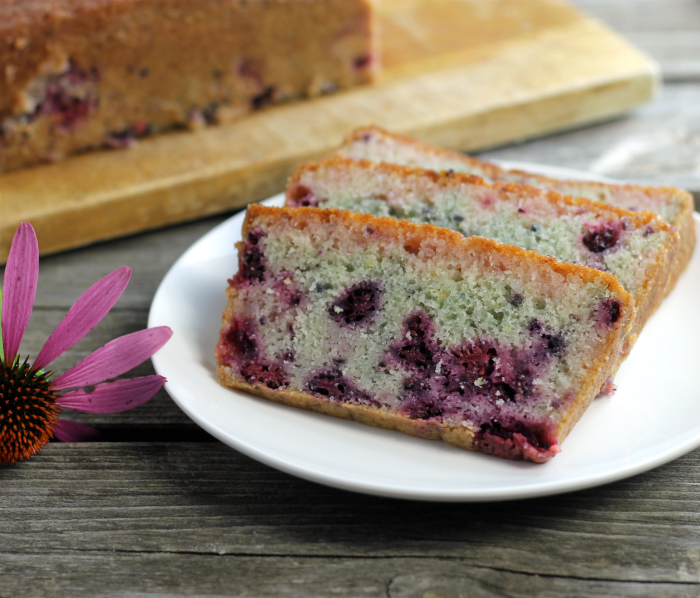 I featured some of these lovely berries in this blackberry lime bread. As summer starts to wind down I keep an eye on the blackberry bushes that grow in the back yard. I know that once August rolls around the berries will start to ripen. There are years that the berries are better than others and this year is one of the years that they are quite nice. 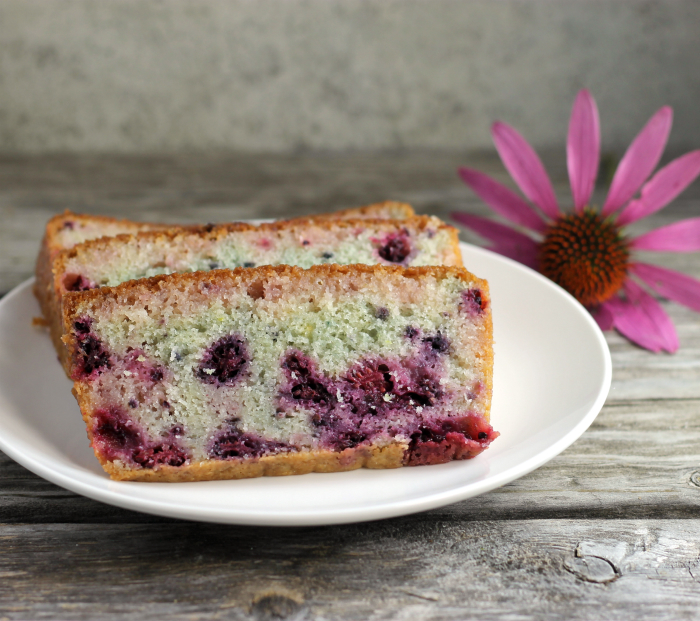 I have made this blackberry lime bread a few times this summer and it has been a hit each time I have made it. The flavors of the blackberries and the lime go together quite well. This past weekend I took a loaf down to Chicago since we were visiting Mike’s sister and her family. When we left the bread was gone, that is always a good feeling to see people enjoying the food that you have prepared. I have to tell you that this post was actually supposed to go live on Friday, but the electricity went out and stayed out for a whole three hours. By the time that it came back the power came back on it was too late to finish my post… ugh! Better late than never, right? This bread is super moist and loaded with flavor. As I mentioned earlier that the blackberries and lime turned out to be a great flavor combination. Someone asked me why I decided to go with lime instead of the traditional lemon. My answer is I wanted to see if this combination would work. 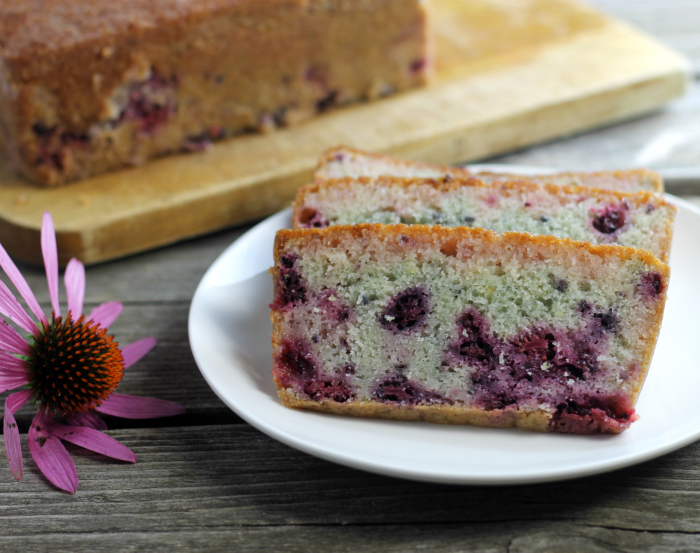 So often when we pair berries with citrus we think of lemon, forgetting all about the lime. In the future, I hope to use more lime in my baking. 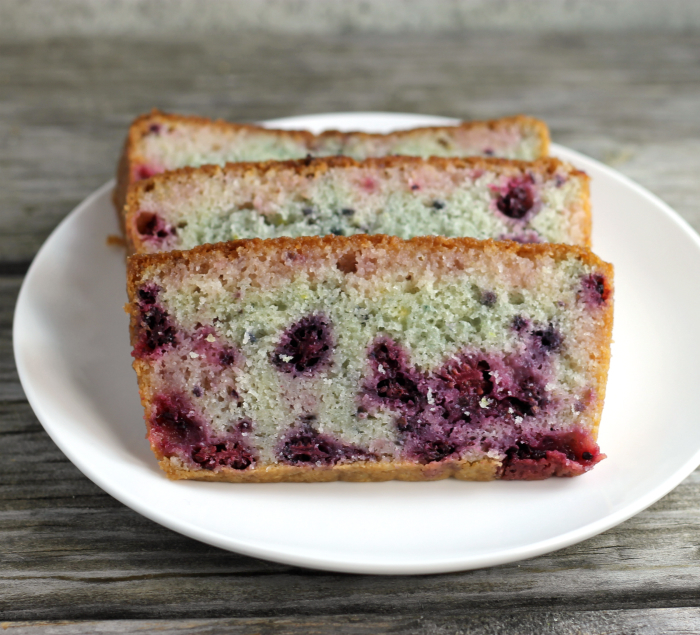 I hope will you try this blackberry lime bread. Growing up, I always loved eating blackberries as they were less plentiful than raspberries. I’ve never had them baked into a cake/bread before, let alone paired with lime. I’m intrigued! Lucky you having wild blackberries in your own yard!! The bread looks superb! Moist and delicious bread. Loved it! How neat to have your own blackberry bushes! And what a treat you’ve made with them — great looking bread, and something a bit different. Thanks! I love blueberry and lemon so I will give lime a shot. Sounds good. Thanks. PS: Very cool on the wild blueberries.